Besides reading the Quran, we would also perform ‘namaz,’ the daily practice of prayer, that I was by now accustomed to (after my initial inadvertent introduction at the tender age of four). We were ‘moderate’ practicing Muslims, so it was great if we could start the day with prayers. But it was a rare occasion, outside of the holy month of Ramadhan for my siblings and I to manage much more than that. 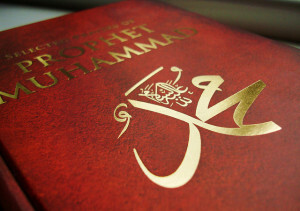 At about this time, I also took it upon myself to start reading about the life of the Prophet Mohammad. I found a slim book on our bookshelf at home that looked digestible, and I would read it on an irregular basis on the weekends on my own. I wanted to know more about the Prophet who defined our religion. It was a fascinating journey. To my young mind, trying to imagine a completely different age, culture, and land was a stretch and a compelling curiosity – the desserts of Arabia, the camels, the tribes, the warfare, and the complicated names and relationships that made up the Prophet’s story. I learnt how the Prophet had been an orphan, and grew up in his uncle’s house; I read how he was terrified by his first visitation by the Angel Gabriel; that he married an older woman– a successful business woman whom he loved dearly–and that he died in his 60’s, after uniting Arabia under the umbrella of Islam. I don’t remember too much detail of my initial reading, and I am revisiting the life of the Prophet through further reading now. To begin with, I’m starting with Lesley Hazleton’s book, After the Prophet, the Epic Story of the Shia-Sunni Split. When I’m done I’ll share my thoughts about her book on this blog. However, there was one thing that stood out to me on my first reading. Numerous times throughout the book, it was clear that the Prophet Mohammad (just like any other spiritually realized individual, I imagine) had to convince his family, friends, associates, tribesmen and enemies of his authenticity. Often met with doubt, fear, cynicism, rejection and hatred, he and his followers would need to allay these suspicions. What was the Prophet’s message? That there is no God but Allah, and that he was his messenger. But, not only that he was a messenger from God, but that he was the Last messenger, last in the line of succession of the Abrahamic religions. There were different scenarios throughout the book where the Prophet Mohammad would engage with this challenge of conveying his message of Islam, both through peaceful means and political warfare. One day, when I was reading such a passage, a stray thought went through my head. What if someone [who was a messenger from God] came today? Would I have the eyes to see them? Even thinking this thought shouldn’t have been valid, because a major part of the Prophet’s message was that he was the last prophet, so how could anyone else come after him? It wasn’t a legitimate line of thinking according to what I had read. In trying to step into the shoes of the tribesmen of that time, I was trying to imagine how it would be to accept a stranger with a controversial message which went against all the spiritual traditions, doctrines and rituals of one’s forefathers. How much risk would it take to leap out of the old and into the new? How much faith would it take to embrace a new religion, and to stand firm against the inevitable backlash of one’s culture? And, how would it be so different to do that today, compared to then? Now that Islam has been established for over fourteen hundreds years, wouldn’t we face the same challenges to hear someone who appeared today, claiming they carried a message that went against the status quo? I think I shocked myself by own thought process. 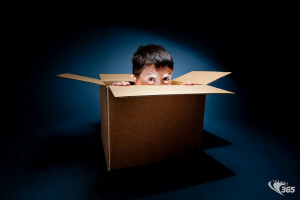 I was stunned at having ‘stepped out of the box.’ At that very moment, I felt as though a different and new possibility opened up in my own consciousness that wasn’t defined by what I was reading or being taught about Islam. By bringing together what I was reading with my own life, the potent times of revelation in seventh century Arabia suddenly came to life in a much more immediate way. It was as if my free probing and questioning, and desire for connection was recognized on some cosmic level. It seemed my brain, or mind had been opened up to the universe at large, and was now receptive to the whole expanse of the heavens, kind of like a radio receiver. I knew something had changed for me at that moment. I had stepped beyond some boundary of limitation in my own thinking, and it was more than intellectual. I think that’s when my own real spiritual seeking began, beyond the safety of known rules and boundaries.